The traditional process of making Homemade Sausage Quijote, as all Spanish sausage, consists of several phases: mincing the meat and bacon, mixing and kneading the meat and species, rest and maceration, inlay the mass in pig intestine and cure at room temperature. 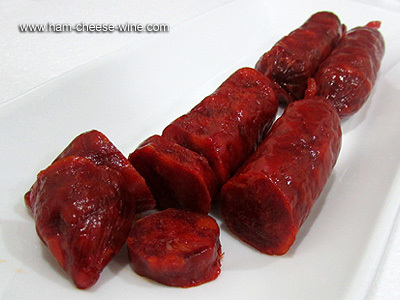 Homemade Sausage Quijote is made with pork of the highest quality. Delicious for grilling or fried, though it is primarily recommended cooked. Ingredients: Pork, paprika, sea salt, vegetable oil, dextrose, garlic, spices, BHT, TBHQ, ascorbic acid, citric acid, sodium nitrate, potassium nitrate. Store at room temperature. 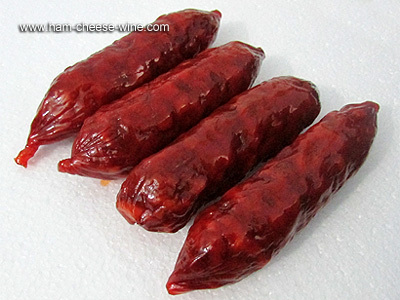 Do not remove the skin to the whole piece of sausage, only to what will be consumed. Store in a dark, cool, dry place, a cupboard or pantry is ideal. 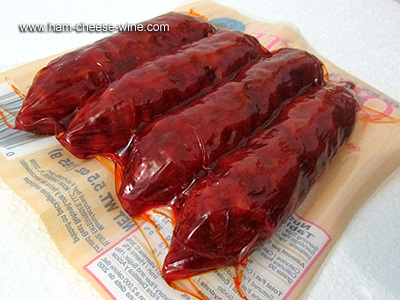 All sausages undergo transformations in their color and flavor if exposed to light for periods of time. Cover the cut with a plastic film or wrap with a cotton cloth. And especially do not hang off the kitchen, keep flat in the pantry, since temperature changes deteriorate its taste and texture. 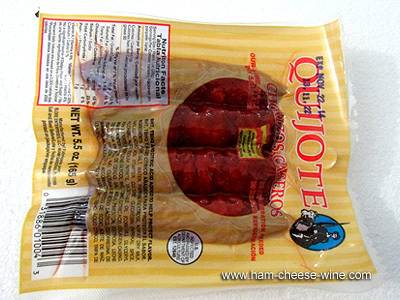 The company that produces the sausages Quijote was founded in 1988 in the city of Miami by three Spanish friends who had immigrated to the United States. These friends noticed the absence of an authentic Spanish style sausage in the market and decided to offer the public one of the best products of the Spanish cuisine. 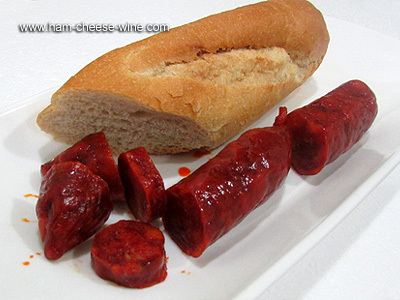 They invested in a small factory in Miami, and began to develop a range of sausages using Spanish recipes, and started to sell their products branded Quijote in the South Florida market. You can find their products distributed throughout the United States. Their business career in Spain and Europe as well as long experience in manufacturing in the United States, are undoubtedly their best guarantees.